With more than a billion Indians without Internet access, Silicon Valley tech companies are jumping at the chance to get them online -- and connected to their services. Over a month ago, India's Prime Minister Narendra Modi met with all the leading players -- Apple (AAPL), Facebook (FB), Google (GOOG), Microsoft (MSFT), Tesla (TSLA),Cisco (CISC), Adobe (ADBE) and Qualcomm (QCOM) -- during his visit to America's tech hub. His vision to bring more Indians online is set to be become a reality, aided by the tech giants providing their resources and infrastructure. Google's CEO Sundar Pichai, who grew up riding trains in Chennai, wants to bring super-fast Internet access to those passengers. The service will be free, at least at the start. 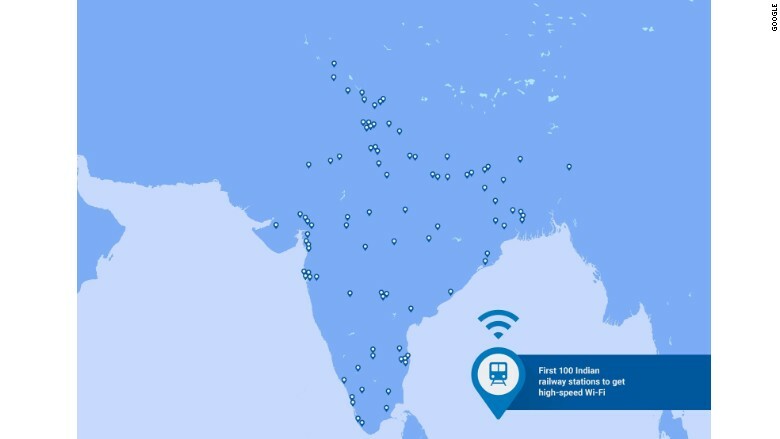 By the end of next year, Google plans on bringing free Wi-Fi to 100 of India's biggest railway stations. The company also is pushing to get more online support for the Hindi language, which is practically nonexistent on the Web. Microsoft CEO Satya Nadella, who is also Indian, has set his sights on providing low-cost internet to villages. 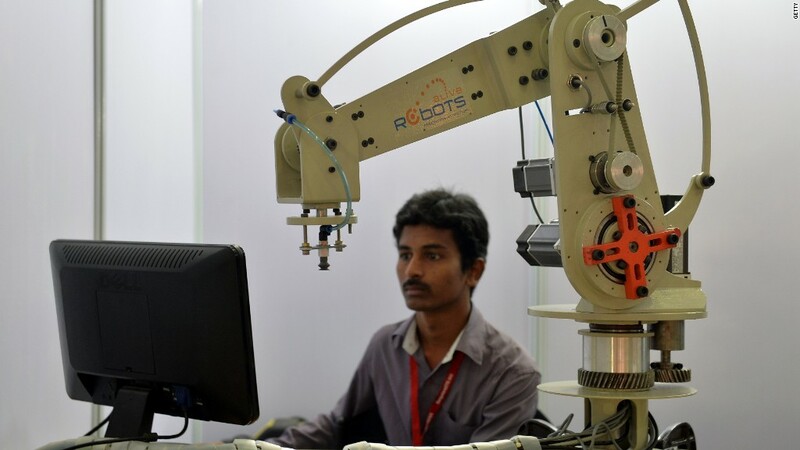 Though India has laid the groundwork for a national fiber network, few can connect to it. Microsoft said it is in discussions with the Indian government to help broadcast Wi-Fi signals in the static spaces in between TV stations to help connect Indians to the network. Mark Zuckerberg's Internet.org foundation has a mission to connect people without Internet access, but its methods are controversial. Facebook and Internet.org partnered with local wireless carrier Reliance Communications to give customers access to a service called "Free Basics." It provides customers with stripped-down apps to limit data charges. Facebook, which is naturally available on the Free Basics service, is offered in a text-only format. Free Basics allows anyone to develop an app but the focus is currently on giving people access to healthcare, education, job search, news and other information. To achieve that, Internet.org handpicks which sites make it to the masses. Critics complain that Internet.org is serving as a gatekeeper to the broader Web by not providing people with access to the entire Internet. Several initial partners ended their support, yanking their apps off the service. But Zuckerberg has pushed back on the critiques, saying that Internet.org is not blocking other services or carriers from joining -- it has just had a slow uptake from potential partners. "If someone can't afford to pay for connectivity, it is always better to have some access than none at all," he wrote in a recent Facebook post.